The passage of parity and healthcare reform have created opportunities and challenges for psychiatric hospitals and the healthcare field overall as we work to better serve individuals with some of the most complex medical conditions: mental and substance use disorders. Opportunities exist because now health insurance coverage will treat mental health and general healthcare equally. Challenges also exist as psychiatric providers are called to show that accountability will also be on par with general medicine. Healthcare reform is challenging the delivery system to move away from volume of services to decisionmaking based on quality, outcomes and performance. The psychiatric hospital sector has been working long and hard to address the issue of accountability through new quality measures. Psychiatric hospitals—both public and private—have been playing a leadership role with key partners, including consumers, families and psychiatrists, to develop “core measures” for hospital-based inpatient psychiatric services, or HBIPS, that are comparable to the types of core measures used in general healthcare. The HBIPS project (jointcommission.org/ hbips) grew from a historic public-private partnership among the National Association of Psychiatric Health Systems, National Association of State Mental Health Program Directors and NASMHPD Research Institute, which teamed with the American Psychiatric Association and the Joint Commission to begin the process of developing core measures for inpatient psychiatry. The HBIPS core measures have been identified using the same rigorous, evidence-based, consensus-driven approach used to develop core measures for general medical conditions. Since the HBIPS core measures first became available in October 2008, the measures have been reviewed by the National Quality Forum. And collection and public reporting of the HBIPS core measures are on track to become mandatory for psychiatric hospitals in the near future. The HBIPS core measures focus on critical issues that affect the course of an individual's hospitalization for psychiatric or substance-use disorders—from admission through discharge. They also acknowledge many of the important themes that have been highlighted throughout healthcare reform, including the importance of integration of services and better coordination of care. For example, research has shown that what is critical for acute-care providers, who see patients for only brief hospitalizations, is moving patients to the next level of care with a coordinated plan for continuity of treatment. This is the focus of one of the HBIPS measures. The measures also ask hospitals to pay attention to screening for a wide variety of factors—including substance-use conditions—at the time of admission. There is extensive clinical literature indicating that substance use is an underidentified, co-occurring problem for many. By deliberately screening for this and other relevant concerns, such as a history of trauma or abuse, psychiatric hospital staffs can improve their ability to customize a treatment program based on individual needs. Other measures address high-risk areas, including the use of anti-psychotic medications and the need for hospitals to identify and reduce their use of restraint and seclusion. The HBIPS core measures are an example of how the inpatient psychiatric hospital world is taking action to achieve parity. Even before being fully integrated into accreditation, hundreds of psychiatric hospitals and general hospital psychiatric units have volunteered to test and use the measures as a way to compare their own practices to their peers' and to open critical internal dialogues that lead to improved patient care. With the foundation of the HBIPS core measures, behavioral health is on track to meet essential targets required by the healthcare reform law, including quality reporting starting in 2013 and pilot-testing of pay-for-performance measures by 2016. The model of collaboration and leadership demonstrated in this HBIPS project is a major advance that will serve us well as we move to truly incorporate the themes of parity and healthcare reform into all that we do for those who experience psychiatric and substance-use disorders. Behavioral health is a partner with general health. We must work together to continue focusing on what works best, early identification of problems and integration of services. Together, we will also have an important leadership role to play in helping employers and insurers as they rework benefit plan designs to comply with the requirements of mental health/substance use parity and healthcare reform. No longer can we think of behavioral health as something apart from mainstream medicine. 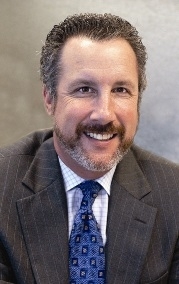 Mark Covall is president and CEO of the National Association of Psychiatric Health Systems, Washington.